The Mushin Museum is a vast collection of historical artefacts which chronicle the use of anaesthesia and pain relief since the late 19th Century. Named after Professor William Mushin, who started the collection in 1947, the Mushin Museum has amassed over 200 items and is a fascinating collection of historical objects reflecting the colourful and interesting history of anaesthesia. It offers a unique teaching and public engagement opportunity in Wales and is a gateway to discover, explore and learn about the speciality of anaesthesia and its rich history. Our collection highlights how scientists and doctors have improved anaesthesia through the years via research and innovation and this is exemplified by the evolution of anaesthetic equipment. We are a fledgling museum, in the initial stages of development; however, we have successfully demonstrated the potential of our collection with Local Schools Open Days and ongoing art collaboration projects and hope to become an important resource for anyone wishing to learn more about the history of anaesthesia. During the 1940s most anaesthetics in Cardiff were given by part time practitioners or junior staff and in 1947 this led to seven anaesthetic related deaths in a single week in a Cardiff operating theatre. Following a swift inquiry the city coroner threatened to stop all surgery in the hospital if changes were not made. 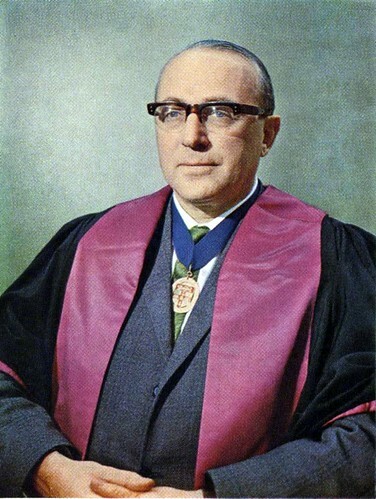 These events subsequently lead to the appointment of Professor Mushin whose accomplishments prior to and during his time in Cardiff are vast and inspiring. Under the leadership of Professor Mushin the anaesthetic department in Cardiff flourished and became a hub of clinical and research excellence with UK and worldwide standing. He was an international expert on the mechanical ventilation of lungs, producing several authoritative textbooks on the subject. Mushin was also a dedicated teacher and often used items in the collection to teach junior anaesthetic staff. We now hope the collection will serve to inspire and educate all visitors, helping to maintain the vision of a thriving anaesthetic department founded by Mushin in 1947. The Mushin Museum has recently opened its doors to groups of local school children as part of our Local Schools Engagement Project. Small groups of local school children (Key Stage 4, age 14/15) were invited to discover, explore and learn about anaesthesia and its rich history using both historical objects and modern simulation equipment. These pilot project open days were a tremendous success and 99% of schoolchildren documented they were more likely to consider a career in science or medicine after attending our event. With plenty of positive feedback our project has grown and improved and we continue to offer this experience to more schoolchildren. The open day focus is to introduce a new audience to the world of biomedical science and educate visitors about the role of an anaesthetist. We also examine the historical impact of medicine and anaesthesia and encourage visitors to think about how curriculum taught science can be applied to biomedical science.This is achieved through interactive sessions that look at the ‘old era of anaesthesia’ and the ‘new era of anaesthesia’ allowing comparison between the two. Not only are visitors invited to inspect and discover artefacts from the museum, they are also invited to see how a modern operating theatre works and experience firsthand modern equipment used by anaesthetists every day. If you are a school based in the South Wales area and may be interested in this open day experience please email us on: admin@mushinmuseum.org.uk for more details about future events.